There are a few things to note about the chronology that follows. First of all, it deals only with Bernice's adventures after she parted company with the Seventh Doctor. It begins with her first meeting with the Eighth Doctor in The New Adventures: The Dying Days, which acts as a kind of prologue to her solo exploits. It does not include the recent "young Benny" books such as Genius Loci. 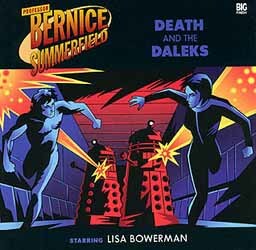 Big Finish divides its Bernice Summerfield adventures into "seasons" of approximately one year's duration each. 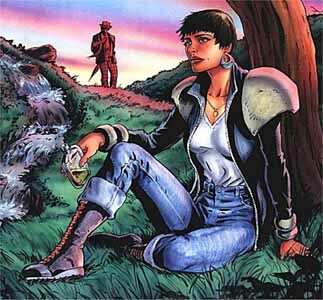 I have therefore divided Bernice's Virgin New Adventures along similar lines, to form Seasons 1a, 1b and 1c. 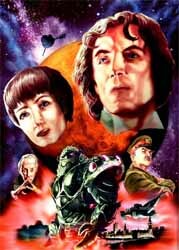 Big Finish's first season comprised dramatisations of previous Virgin New Adventures. 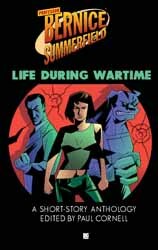 These adaptations - especially the "time ring trilogy", which included heavily reworked versions of two Doctor Who New Adventures - deviate from the regular Bernice Summerfield continuity and are therefore not listed in this chronology. These adventures are generally assumed to take place in a different universe than the current run of stories. For simplicity's sake, anthology volumes are listed as single entities when the short stories or novellas within them appear to occur sequentially with no overlap with other books or audios. Such is the case with, for example, Life During Wartime and Parallel Lives. However, some of the stories in collections such as The Dead Men Diaries and A Life Worth Living take place before or after other releases, so such stories are listed individually. Titles are arranged in release order, except when there is evidence to the contrary. 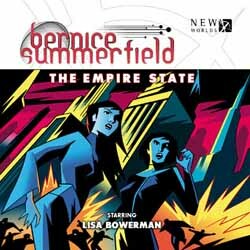 Where Angels Fear (Virgin Books) Bernice and friends evacuate Dellah to escape the wrath of the terrifying "Gods"
A Life of Surprises (Big Finish book) All stories except "The Shape of the Hole", "Cuckoo" and "The Spartacus Syndrome"
The Worst Thing in the World (Big Finish audio) According to Benny, things haven't been going so well on the Collection with Bev in charge - probably a reference to the events of "The Tears of Laughter", "Outside the Wall", "The Inconstant Gallery" and "Cabinets of Curiosities"
"The Shape of the Hole" (A Life of Surprises, Big Finish book) This story takes place several years in Bernice's future: she and Jason now have three children - Peter, Keith and Rebecca; Braxiatel apparently now lives on "Old Earth" (note: this future will probably never come to pass, due to Brax's interference with history, revealed in The End of the World).